Chicken & Dumplings Soup - Let the Baking Begin! 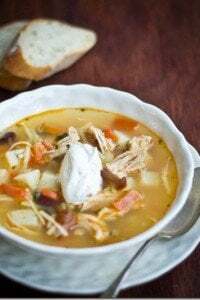 When you want simple, homemade and delicious go for this chicken and dumpling soup. 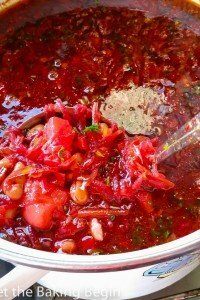 It is made by cooking the chicken until it’s fall apart tender, then making your own dumplings or noodle sheets. If you would rather have something quicker, use egg noodles instead of the homemade dumplings. It might not be the same flavor, but it will still be really good. 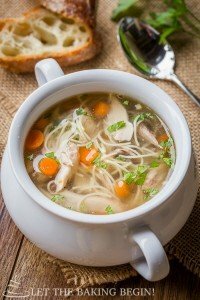 For best flavor in the Chicken and Dumpling soup, use half of a whole chicken, but if you don’t have one just go ahead and use chicken breast or chicken thighs. 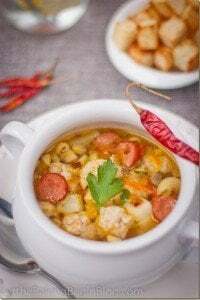 Smoky Hunter’s Soup – Soup with potatoes, sausage, and vegetables. 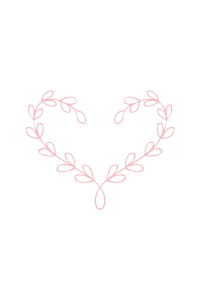 Hearty Zuppa Toscana – A delicious Olive Garden Copycat recipe. 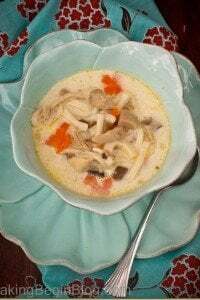 Chicken Noodle Soup – Creamy chicken noodle soup.